Mapes (Cate Blanchett) gets a tip-off that in the 60s now President George W. Bush may have used his family’s influence to avoid the Vietnam draft by joining the Texas Air National Guard, a reserve component of the United States Air Force. More than this, it looks like he then didn’t even see out his service, officially going AWOL. Mapes takes the story to her bosses at CBS and they approve her further investigation. She comprises her crack team of fellow journalists, consisting of former Colonel Roger Charles (Denis Quaid), journalism teacher Lucy Scott (Mary Elizabeth Moss) and newcomer Mike Smith (Topher Grace). When one of their sources, retired Colonel Burkett (Stacy Keach) hands them some memos purported to be from Bush’s former commander, and appearing to verify Bush’s absence without leave, then they have their story. Pushed to go to air by her superiors as soon as possible, Mapes and the team put together the programme in five days. The story breaks to huge controversy and it’s not long before the authenticity of the memos is being challenged. Mapes’ team had evidence to suggest the truth of the story before they ever laid eyes on the memos, but they soon realise that, in their hurry to throw the story together, they’ve not paid them enough attention, and their case begins to unravel. The team fights back but none of them are prepared for exactly how bad this is going to get, not least in the form of opposition from their own superiors at CBS who throw them to the wolves to save their reputations; and for Mapes, life will never be the same again. After the release of Spotlight to such acclaim, most of it deserved, watching a trailer for a film called Truth, full of brash journalists trying to change the world with a story about George W. Bush leaves a bad taste in the mouth. The opening act of this film follows the trailer’s direction. The talking is pretentiously snappy; the detailed ins and outs of Bush’s military record are a little hard to follow; the characters don’t reveal much about themselves and over all the action seems a little shallow. Cate Blanchett though, is as faultless as ever. She’s a joy to watch in any film but really carries the action here in her balanced portrayal of Mapes’ strengths and failings. Further awards may be on the cards for this two-time oscar winner. It’s the second act of this film where the action begins to take on some depth, and suddenly you’re into a whole different story. From the, slightly spine-tingling, moment where Roger reveals to Lucy that Mapes was beaten by her father, and if her mum hadn’t died in 2000 Al Gore might now be president, you know you’re getting into something good. Finally the characters are becoming real and we’re beginning to care about them. 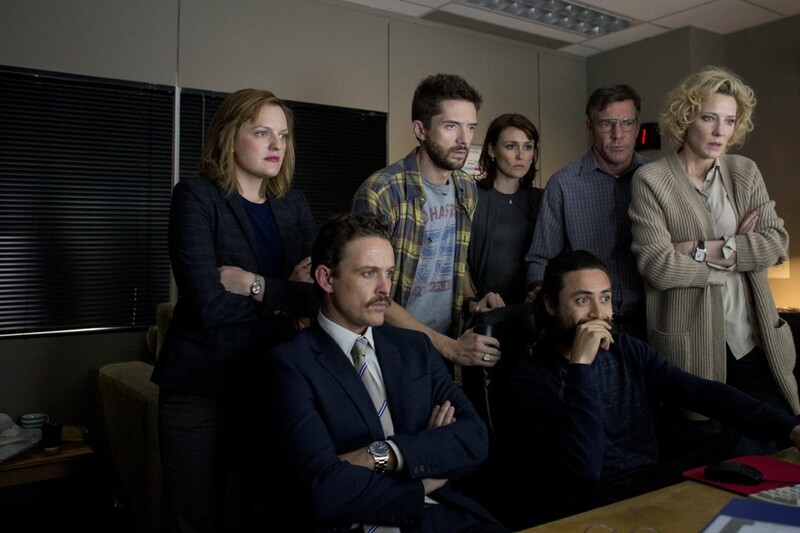 However, whereas Spotlight was about the story those journalists uncovered, this story is about journalism itself, even more than about Mapes’ character. Rather than poorly imitating Spotlight, it sits nicely along side it as another ‘Investigative Journalism Drama’ highlighting recent injustices in American society. The film, based on the real life events known as the Killian Documents Controversy, is adapted from Mary Mapes’ own book published after the event, Truth and Duty: The Press, the President, and the Privilege of Power. It therefore tells the story completely from her point of view. However, writer/director James Vanderbilt is careful to show where Mapes’ team did make mistakes, and where they were clearly floundering for answers to the accusations made against them. As a viewer you even find yourself wondering at times, what if they’re not right after all? Clever film- making. The rest of the performances are solid. Topher Grace, a long time TV actor turned rising film star puts in a good turn as Mike, the rookie of the team. There’s a cute scene where Mike tells famous news anchor Dan Rather (Robert Redford) that he was the reason he got into journalism in the first place, and now they’re working on the same team. 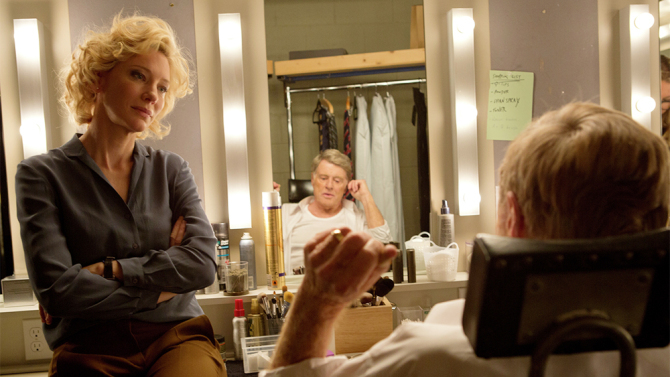 Redford and Blanchett’s relationship is another endearing aspect of the film, although Rather is just so nice and supportive throughout that he’s almost a little hard to believe in the end. The same can be said of Mapes’ husband played by John Benjamin Hickey; never was any spouse quite so patient. The role of Rather must have been daunting even for Redford, as the real Dan Rather is such an iconic figure in American news, andstill working despite being in his 80s. The good news for Redford, and the rest of the film-makers, is that Rather publicly supported the film: In an interview with The Hollywood Reporter in October 2015 he distances himself from the politics, but states that the film is accurate with regard to what is happening to news reporting, and that there’s too much interference in the news by lobbyists and corporate executives. The film’s attack on corporate influence in the media is encapsulated in the thematic ‘money’ scene where Mike reminds his CBS boss, and the entire office, that CBS is owned by Viacom, open supporters of President Bush. Implication: you’ve been forced to fire us. The film comes down clearly on the side of the reporters, and that bias may not be to everyone’s taste. However, this is Vanderbilt’s directorial début (he’s been a long-time screenwriter) and for that he must be applauded. Ultimately this film exceeded my expectations, moved me, and made me think. Regardless of your politics it’s worth a viewing.